The property-backed Innovative Finance ISA has arrived. Earn up to 12%* per annum tax-free by investing in loans backed by British property. * Your capital at risk and is not protected by the Financial Services Compensation Scheme (FSCS). Please see our Risk Warnings for further details. The Innovative Finance ISA (IFISA) is a new ISA that became available 6 April 2016. The IFISA allows you to earn tax-free returns by lending through peer-to-peer lending platforms such as LandlordInvest. You may in the current tax year invest £20,000 across a combination of a cash ISA, stocks and shares ISA, and the IFISA. LandlordInvest, being fully FCA authorised, was one of the first platforms that offered a residential property-backed IFISA. Those wanting to join in the peer-to-peer investment boom, but with some tax-free protection can invest through a new Isa. 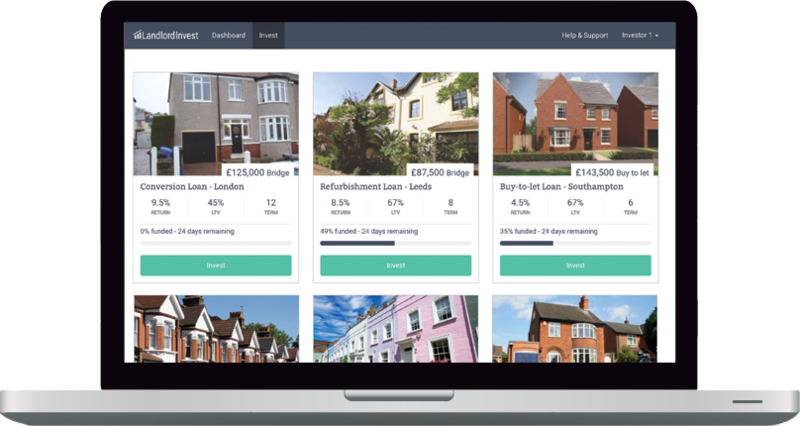 LandlordInvest, a peer-to-peer lending platform, this week received Isa manager approval from Revenue & Customs, even though other platforms, including Funding Circle, Zopa and RateSetter, are still waiting for the go-ahead. Our IFISA offers a fixed return rate and is less vulnerable to stock market fluctuations than the Stocks & Shares ISA. The Cash ISAs currently offer returns of around 1.0% per annum, whilst the LandlordInvest IFISA may offer returns of up to 12% per annum. Although keep in mind that higher returns also means higher risk. Further, please remember that LandlordInvest is not covered by the Financial Services Compensation Scheme (FSCS) and your capital is at risk. The ‘innovative finance’ Isa is being hailed by some as the answer to years of miserable interest rates. How do I open an IFISA? download our IFISA key features document. If you have any questions, please get in touch ifisa@landlordinvest.com or call us on 0207 406 1491.